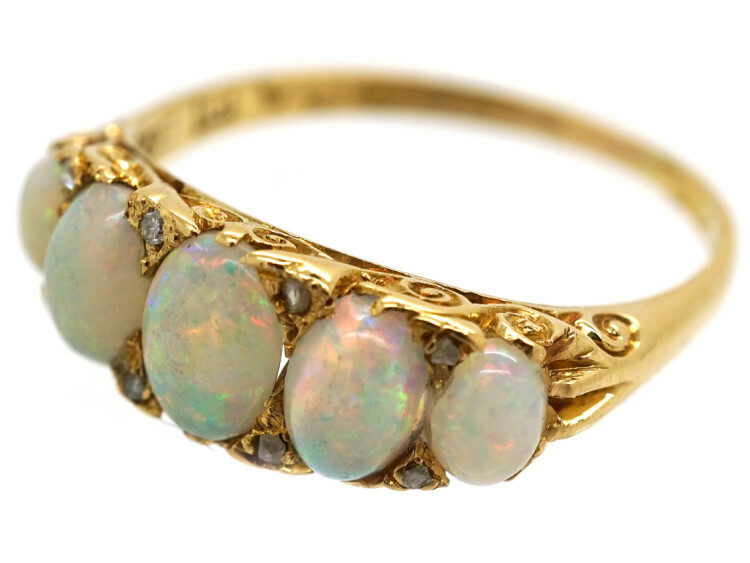 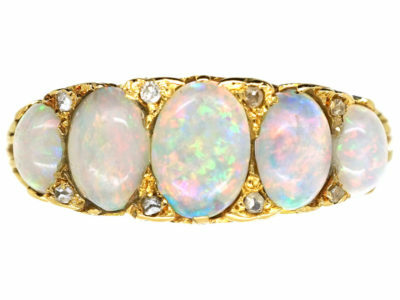 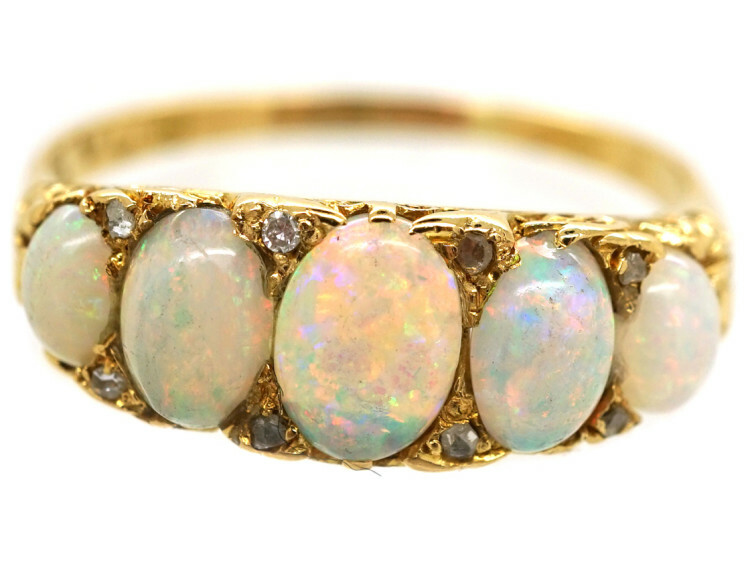 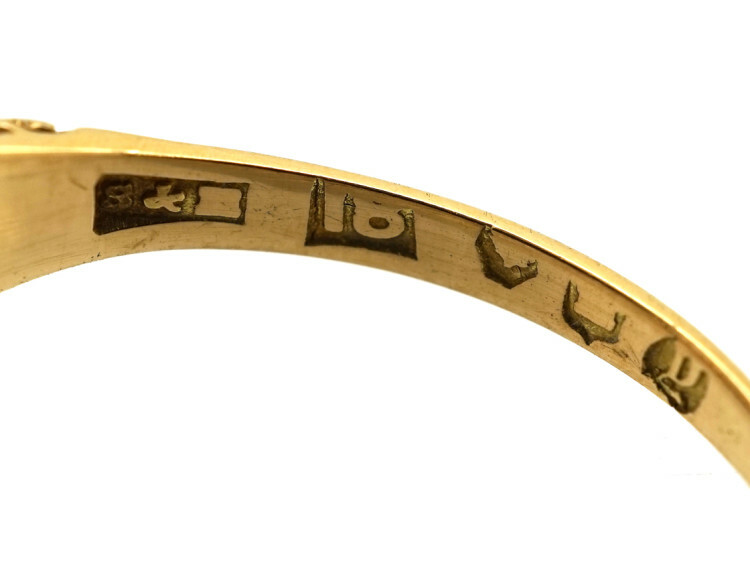 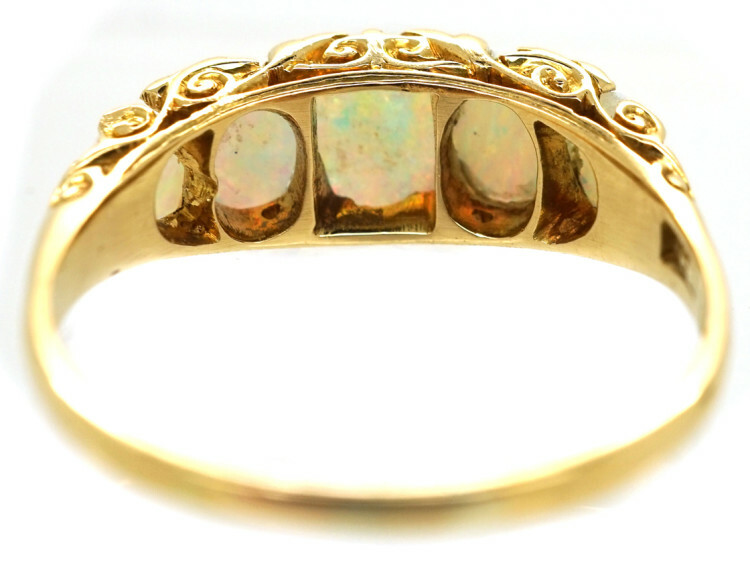 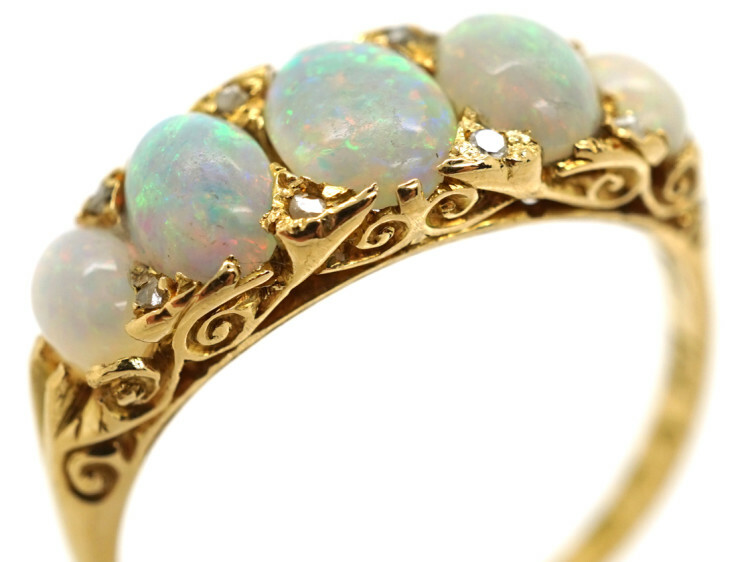 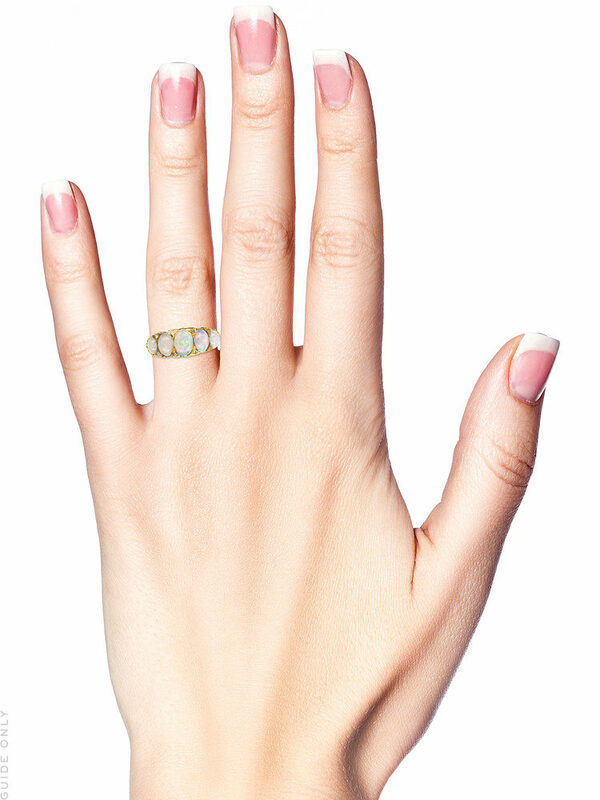 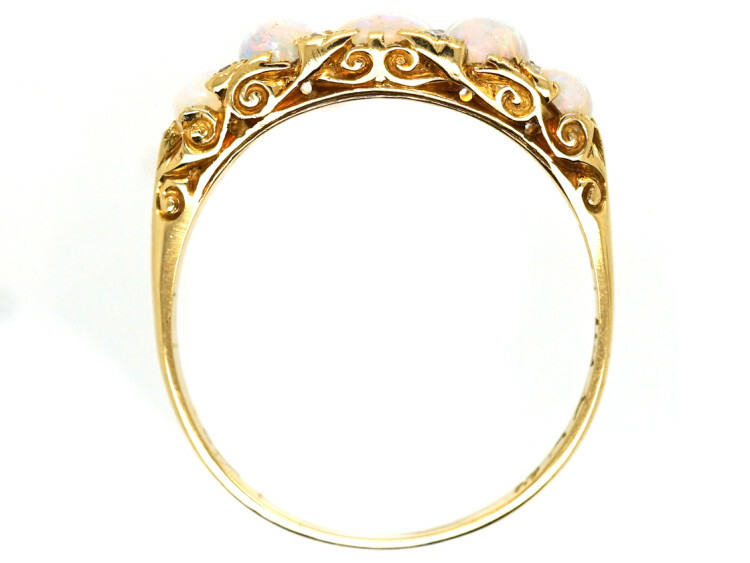 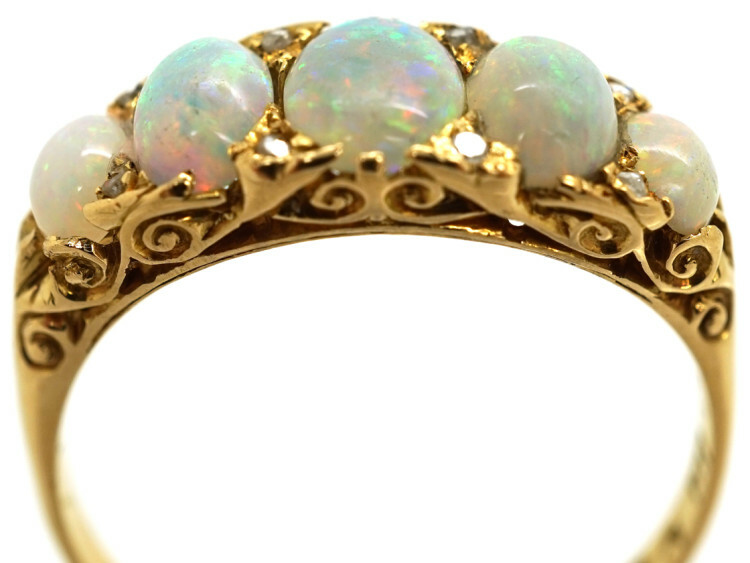 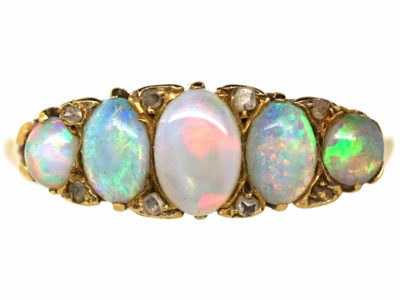 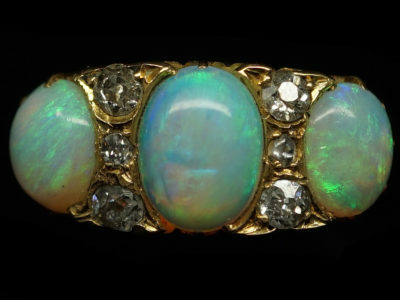 A pretty five stone opal 18ct gold ring that was made in 1898. 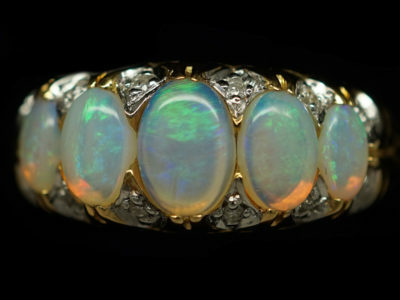 It has tiny diamond points along each edge in between the opals. 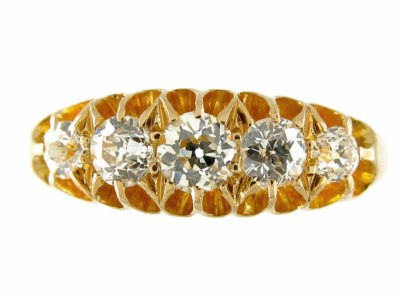 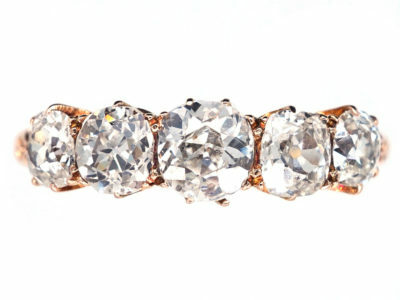 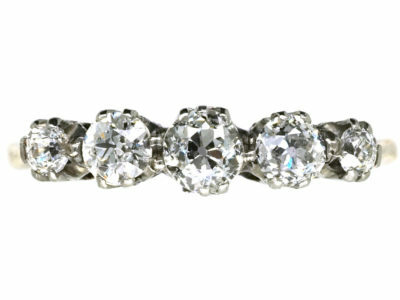 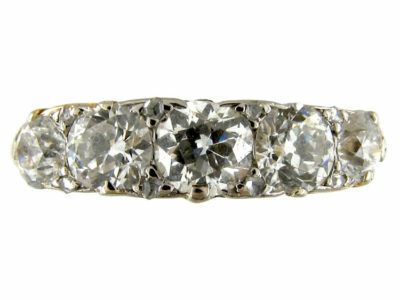 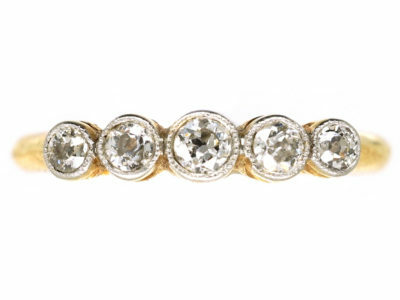 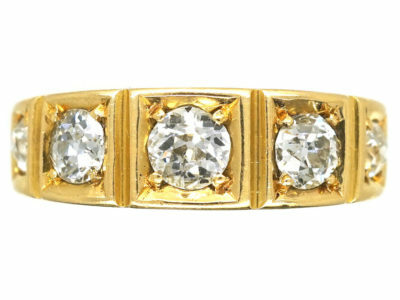 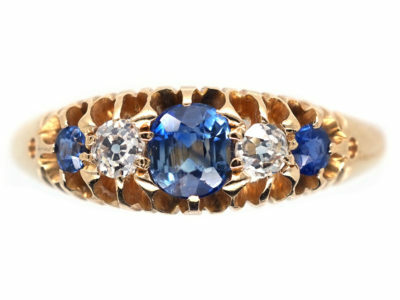 This was done to give the ring a neat line and was a common practice with Victorian gemstone rings. 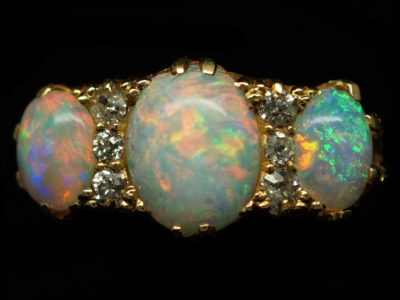 The opals have quite a lot of red in them and are well matched stones. 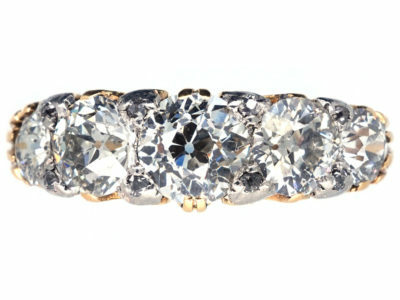 It is in lovely condition.